It’s no secret that energy markets have gotten slaughtered this year. We half-jokingly wrote “How to Play a Bounce in Oil (Hint: Not $USO)” earlier this year, only to see Crude continue lower and lower with nary a bounce in sight, and talked about the pain in the MLP sector . Futures for January delivery settled down 7.2 cents, or 3.8%, on Tuesday at $1.822 a million British thermal units, the lowest settlement since March 24, 1999. On an inflation-adjusted basis, Tuesday’s settlement price is the second-lowest on record. The inflation-adjusted record low is $1.80/MMBTU, reached in January 1992. Since then, Natural Gas has rebounded a little bit, up to 1.91, but that seems rather insignificant when looking at the long term fall in Natural Gas from its lofty levels in 2007/8 ? We’re talking of losses of -41% this year, and nearly -90% since 2007. That’s a brutal sell off, and responsible for more than its share of MLP problems even though Crude Oil prices get most of the spotlight. Many are blaming the El Nino for the massive drop in prices, but that’s a demand issue layered on top of a massive supply issue. Remember – fracking isn’t just for Oil. Natural Gas is a natural byproduct of all that goes on in the oil patch – and the record supply in WTI has meant similar record supply in Natural Gas. It’s the combination of a record amount of supply, the Natural Gas companies becoming more efficient of extracting Natural Gas, and the warmer temperatures. Although – doesn’t it seem like your energy bill at home would be 85% less than a few years ago with gas prices so low. This consistent downward move is really quite out of character for the Natural Gas market. The 2014 volatility spike only lasted a month or two, but if we go back to the 90s and early 2000s, Natural Gas was one of the most volatile markets around, with 20% to 30% daily moves happening a handful of times each year. And who can forget the story of Amaranth, which aided Nat Gas moving from $8 to $16 in the matter of days, and back again in the same amount of time. A trader by the name of Brian Hunter had some extreme bearish bets in the market – and ended up losing around $5 Billion on the trade. What hurt Mr. Hunter is what he had ridden to glory for the past year or so: volatility. Though unknown in public, he had created a buzz on Wall Street — a wunderkind to some, a ticking bomb to others. From a cramped trading desk here, he thrived on big price swings, reaping billions of dollars on price declines and surges alike. 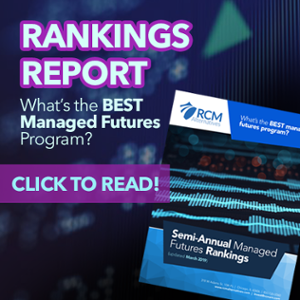 But late last week, he watched with growing alarm as gas prices took a steep dive, particularly in futures contracts for delivery of gas for this coming winter. His losses mounted in after-hours trading last weekend. We kind of miss the old days in Natural Gas… the volatile crazy days which could see large profits and losses accumulated quickly. For a systematic program knowing when and how to allocated capital (and when to get out of the way), there was a lot to like out of Natural Gas. It also used to be the go to example for strategy drift (we’ll call you if the manager starts putting naked natural gas options in the account), but these days it’s just sort of boring as it slowly fades to zero. It will surely bounce one day (maybe not into the rarefied air of 2008), and there will be winners and losers on either side of that trade. All we know for sure, is it usually doesn’t pay to try and catch the falling knife here (we’ll wait for a systematic entry confirming an up trend is in place), and it definitely doesn’t pay to play a bounce (or a sell off) via a Natural Gas ETF. 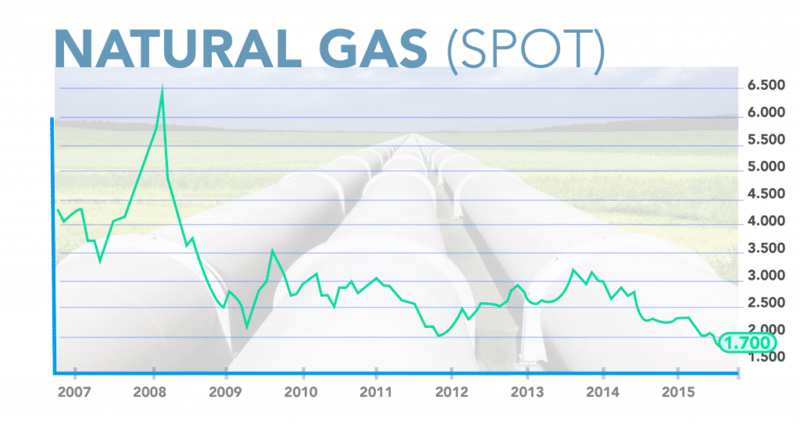 Back in March 2013, Natural Gas was stuck in a trading range of between $2 and $6 for 5 years. The impressive decline of the spread between Crude Oil and Natural Gas in 2012. 3. Nat Gas: Return of the Widowmaker? We stack up and compare Nat Gas average daily moves percentages with largest daily move percentages. Someone (who wanted to remain anonymous) with 35 years of experience in the natural gas industry, shares his insights. The yearly performance of Natural Gas Futures along with the other futures contracts back in 2011. Would T. Boone Pickens natural gas legislation provide more supply to the industry, and therefore push down prices, or would the markets not follow supply and demand rules? 7. 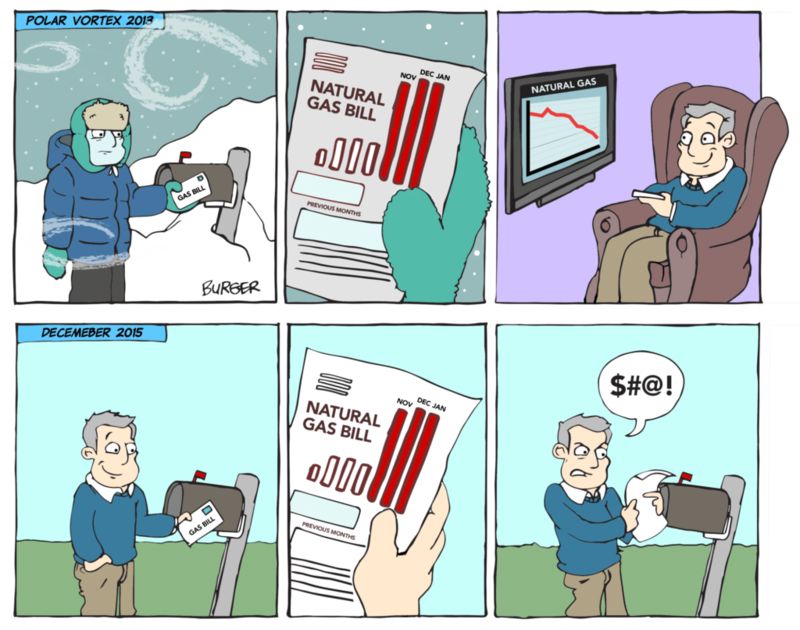 Natural Gas Price Increase a Natural Result? Would the T. Boone Pickens legislation change the landscape of not only the natural gas industry, but also the Crude Oil industry as well? Look and find out. The yearly performance of Natural Gas Futures along with the other futures contracts back in 2010. A detailed statistics of this year volatile market.Thanks for the information.Can anybody tell how the trend of the market will be in 2016?